1/2" Thick Foccaccia Bread, cut 3" x 4"
In a large sealable plastic bag combine Ponzu sauce, basil leaves, Dijon mustard, garlic and pepper. Add mushrooms, turning to coat and marinade for 15 minutes. Grill or broil mushrooms 3 minutes per side. Lightly brush Focaccia bread with Ponzu and toast. Spread each piece of bread with 1 Tbsp cheese, top with 4 slices bell pepper. 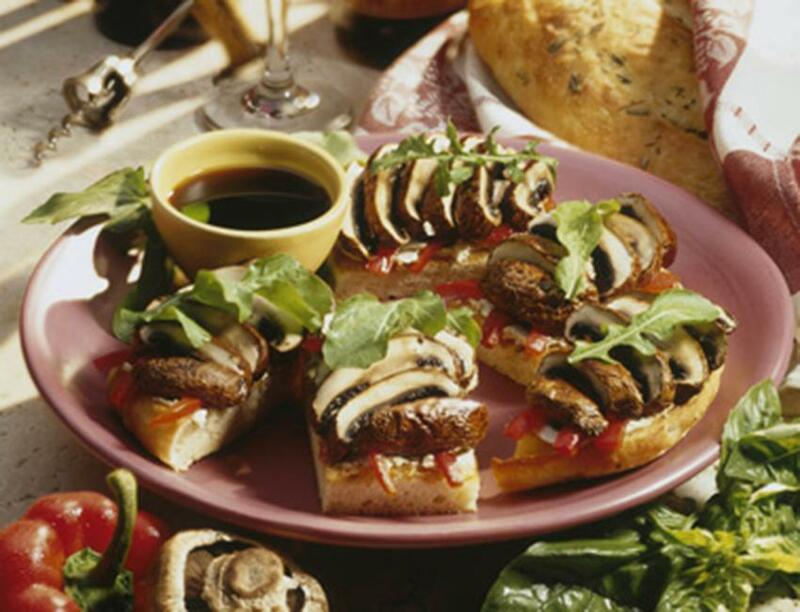 Thinly slice each mushroom and place on top of peppers. Garnish with additional fresh basil leaf or arugula.